When a mysterious talking groundhog steals young Ellie’s homework, she takes off down a hole after it and finds herself in a place where nothing is as it seems — the Land of Rejected Fairy Tale Characters. Here, Ellie meets a crazy assortment of misfits who were cut from the fairy tales we all know and love. There’s her shadow-fearing sidekick, Groundhog; Mac, the eighth and world’s largest dwarf; Jacqueline, the great Giant Slayer armed with a magic polka-playing accordion; and more — Indecisive Goldilocks, Sleepless Beauty, Little Red Robin Hood, Fairy Godfather, and even Big Bad Platypus. Read more...Groundhog and the rest of the misfits make a deal to help Ellie find her way back home if, in return, she writes them into stories that can be shared with others. But Queen White-Out and her eraser minions, Pink Pearl and Big Mistake, have other plans. Will the misfits be erased forever, or will they find their own happily ever after? 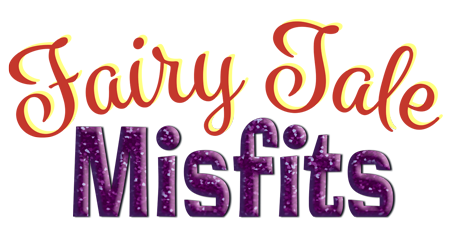 Bursting with quirky humor and featuring a large cast of whimsical and endearing characters, Fairy Tale Misfits fits the bill for a large cast of young actors looking to deliver big laughs. This is a basic step-by-step guide for conducting Creative Drama workshops, including over forty activities to assist a drama leader during the initial stages of developing the program.